Guess who is all set to share screen space with Tiger Shroff in Baaghi 3? It is none other than Shraddha Kapoor. Yes, you read that right. 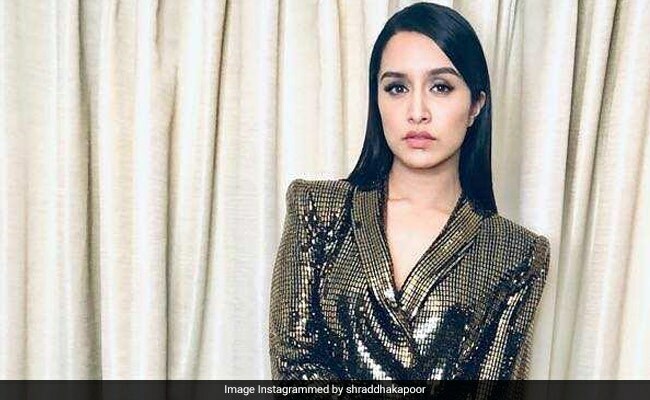 Baaghi 3 producer Sajid Nadiadwala announced Shraddha's association with the project and said in a statement, "The entire team of Baaghi is very happy to have Shraddha Kapoor back. Tiger and Shraddha's pair was extremely loved in Baaghi and I am sure that fans of the franchise will be as excited as we are to have them together." Shraddha Kapoor was a part of the first installment of the Baaghi, while the second installment starred Tiger's rumoured girlfriend Disha Patani as the female lead. The third installment of the Baaghiseries will be directed by Ahmed Khan and it will be collaboratively produced by Sajid Nadiadwala and Fox Star Studios. The first part of the Baaghi series was directed by Sabbir Khan. Baaghi 3 is scheduled to release on March 6, 2020. Both Baaghi and Baaghi 2 emerged as hits at the box office. Baaghi 2 earned Rs 25.10 crore on the opening day. The film was also the fourth biggest opener of 2018. The film also starred Manoj Bajpayee, Randeep Hooda and Deepak Dobriyal in pivotal roles. On the work front, Shraddha Kapoor is busy with the shooting of Remo D'Souza's dance film Street Dancer, co-starring Varun Dhawan. Shraddha's line-up of films includes Prabhas' Saaho, Chhichhore, co-starring Sushant Singh Rajput and the Saina Nehwal biopic.